Circa 1880 with alterations, pair of burr walnut campaign style, bedsides or chest of drawers. 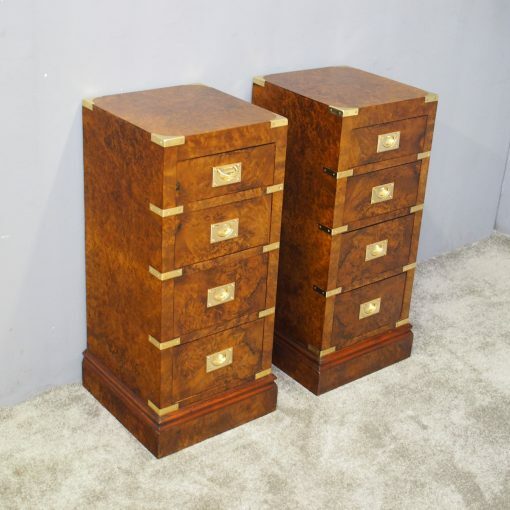 The rectangular tops in figured burr walnut with brass corners are over 4 graduated drawers with inset military brass handles. There is brass strapping to the sides and it is all over an enclosed plinth base.